Snake tattoos are a classic. They are very traditional and quite a few individuals have these types of tattoos. In many cultures, such as African, Chinese, Hopi and Native American, snakes are associated with water. This connection emphasizes their link to healing because water is a symbol of healing as well as purification and cleansing. 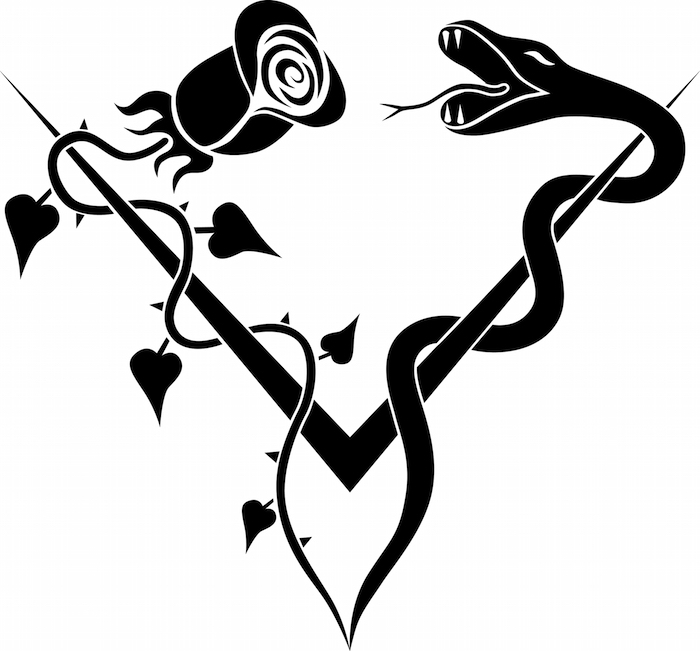 If you are seeking personal purification and this concept of healing resonates with you, then perhaps a snake tattoo is for you. 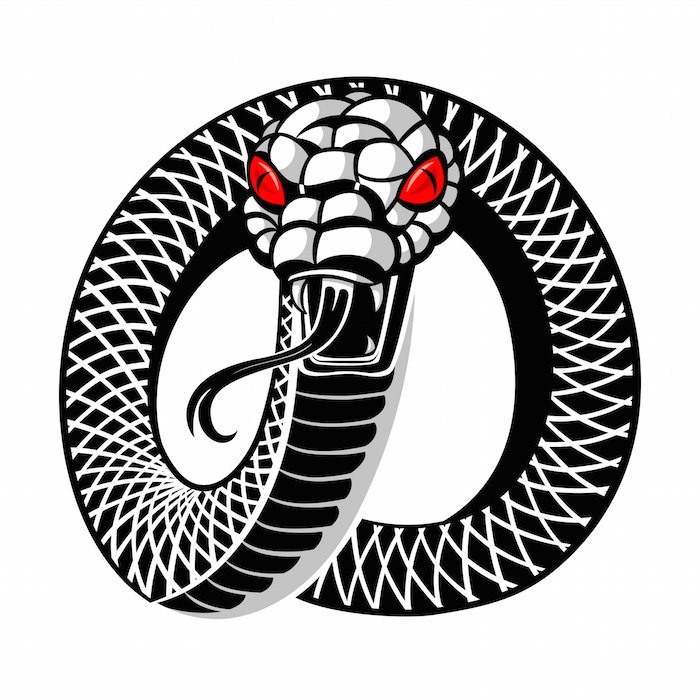 Below you will find some of the many meanings behind a snake design tattoo. 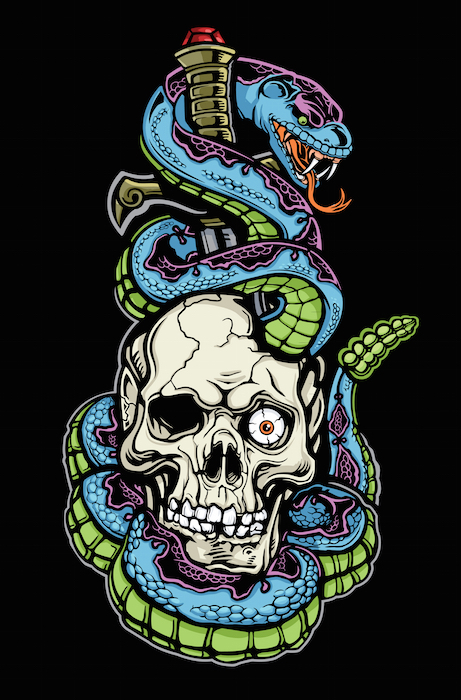 In Greek mythology, snakes symbolize health and healing. 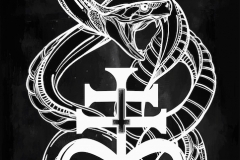 We often see this through the use of the snake in Staff of Aslecpius. Aslcepius is a well known god of medicine, healing and could grant regenerative powers. 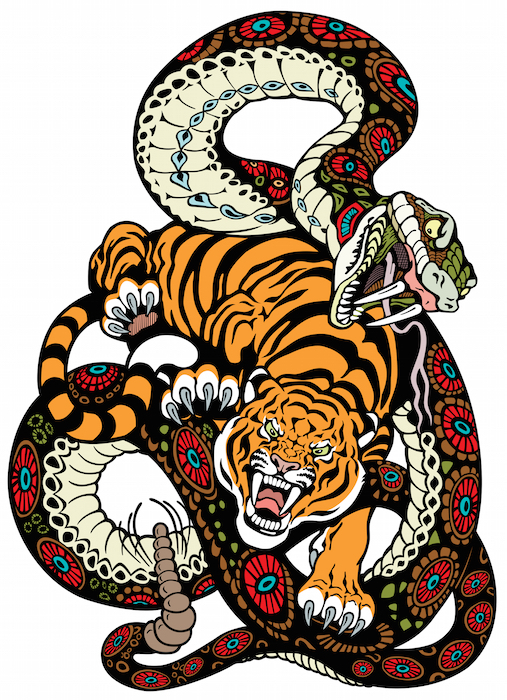 The serpent Shesha from Hindu mythology is seen as one of the primary beings of Creation. Shesha supports the planets in the universe on his countless heads. He is often seen carrying the Hindu deity, Vishnu over a cosmic river. 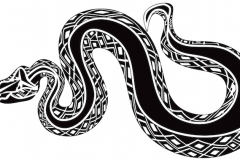 In pagan cultures, the snake is often a symbol of rebirth and healing because of the snake’s ability to shed skin. Snakes are able to remove their skins and emerge brand new much like the feeling of being renewed or reborn. Other legends show deities with two snakes. This often represents balance, duality and unification or even enlightenment. 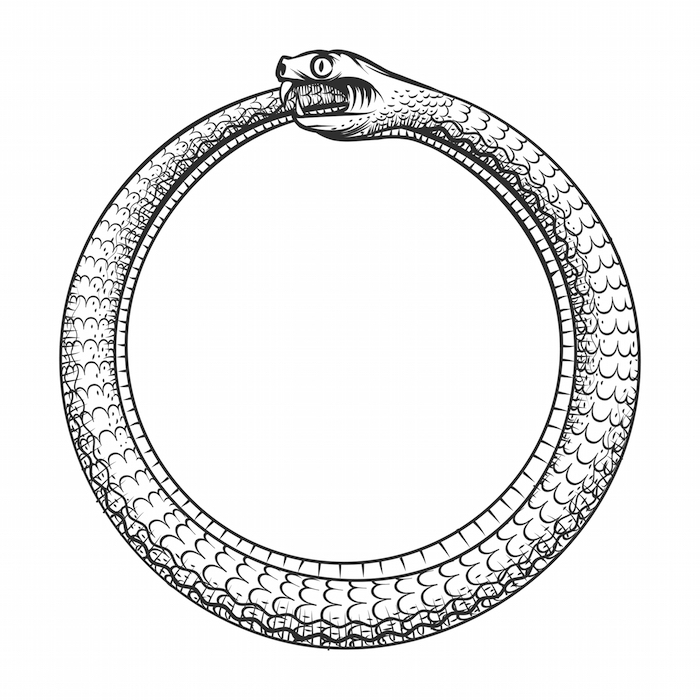 In Greco-Roman ideology, snakes are considered protectors of the underworld. They are frequently included in funerary art to represent guardianship over the burial grounds. 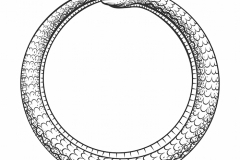 Many cultures believe the snake to be a protector of abstruse mysteries which is why we often see snakes having magical personalties in stories. 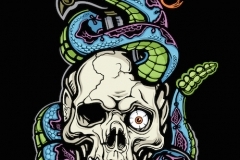 Whether you are looking for a Japanese influenced design or maybe a skull and snake design, these will help you decide what you are looking for. 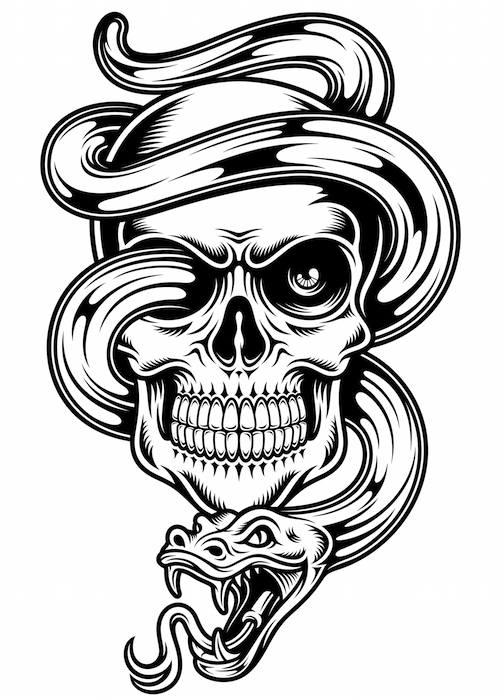 Below are several examples of snake designs including designs for men. 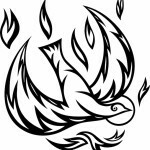 This pattern is often connected with the spiritual realm and the elements of Nature found in different regions. 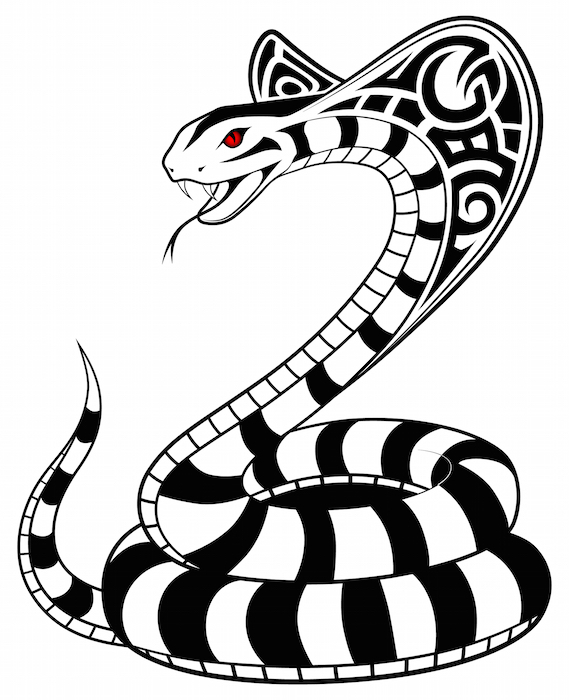 The King Cobra has been associated as a symbol for the divine and is a royal representation of pharaohs. Eagle and Snake. The snake represents sexual passion and temptation while the eagle is an animal for noble individuals possessing high morals. 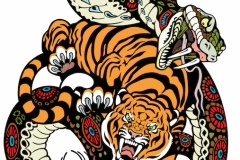 This tattoo represents the conflict between honorable intentions and our more wild side. It shows the fight between doing good and right with bad and wrong. Rattle snakes are lethal. They are often seen with the phrase “Don’t tread on me”. A coiled snake is ready to unleash fury. It is dangerous. It shows that outward appearances are not always as they seem. It shows that you have a deadly persona underneath a supposedly composed and put together exterior. This image is representative of Asclepius, the Greek deity of Medicine and Healing. 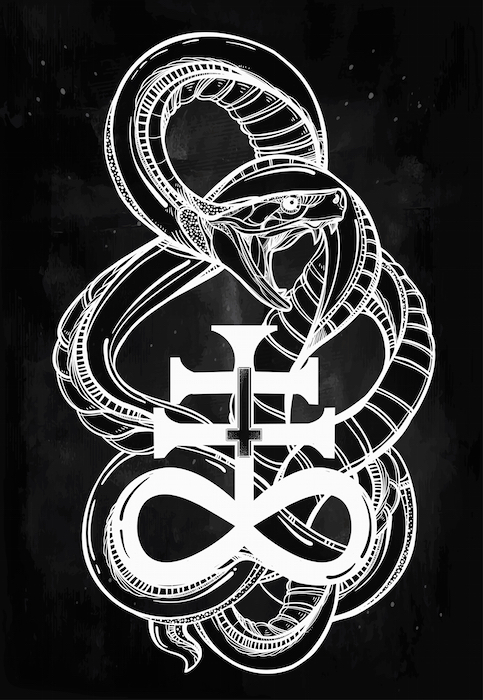 In pagan symbolism, snakes are associated with Rebirth and Fertility. This tattoo represents Renewal and Transformation. Roses are associated with love, affection and beauty. Together, the image represents temptation. This tattoo shows the loss of innocence and beauty through the charms of a trickster. Lions are masculine symbols of strength and primal power. 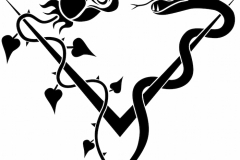 The snake on the other hand represents yin which is calm, cunning and rational. Together, they represent the struggle between these two sides. 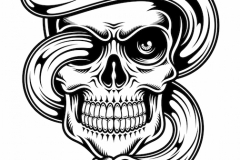 Skulls represent Death and Decay. It is a morose reminder of man’s mortality. 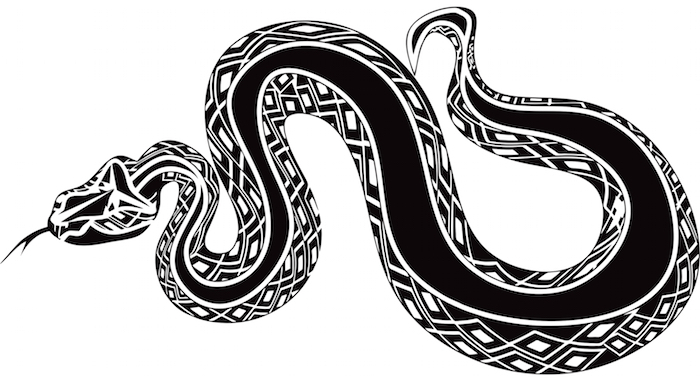 In some cultures, the snake is seen as a symbol of healing and rebirth. Together, they symbolize the cycle of Death and Rebirth. 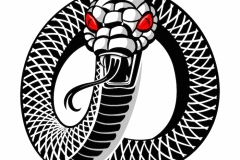 Snake Eyes are often connected with betrayal. It is a hint towards your inner mischief. People Who Wear This Symbol…..
People who wear this symbol are likely to be in some process of renewal or entering a new phase in their life. 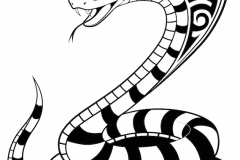 Snake tattoos are a favorite because they can be placed almost anywhere on the body and will flow naturally. They also remind us of power, fear and renewal.